LA JOLLA, Calif., – Scientists at Burnham Institute for Medical Research (Burnham) have found that the Caspase-8 protein, long known to play a major role in promoting programmed cell death (apoptosis), helps relay signals that can cause cancer cells to proliferate, migrate and invade surrounding tissues. The study was published in the journal Cancer Research on June 15. The team of scientists, led by Kristiina Vuori, M.D., Ph.D., professor and director of the Cancer Center at Burnham, showed that Caspase-8 caused neuroblastoma cancer cells to proliferate and migrate. For the first time, Caspase-8 was shown to play a key role in relaying the growth signals from epidermal growth factor (EGF) that cause cell division and invasion. The researchers also identified an RXDLL amino acid motif that controls the signaling from the EGF receptor through the protein kinase Src to the master cell proliferation regulator protein, MAPK. This same signaling pathway stimulates neuroblastoma cells to migrate and invade neighboring tissues--a critical process in cancer metastasis. Using immuno-blot assays, the scientists showed that EGF signaling was absent in a cancer cell line that is deficient in Caspase-8 and that EGF signaling can be restored by reconstituting the cells with wildtype Caspase-8. Sequence homology studies helped to identify a RXDLL motif in the protein, a sequence that has been shown in other proteins to function in cell signaling. The researchers also used immune-blot assays to demonstrate that reconstituting the Caspase-8 deficient cells with Caspase-8 with mutations in the RXDLL domain did not result in EGF signaling. This suggests that Caspase-8 mediates signaling through the RXDLL domain. The scientists had previously shown in another study that Caspase-8 associates with Src, a protein known to be involved in cancer cell proliferation. In this study they showed that interruption in this association disrupts EGF signaling indicating that Caspase-8 exerts EGF signaling through Src. Cancer results from excessive cell division and reduced cell death. A number of cell death proteins are missing from human tumors, allowing cancer cells to ignore the cues that keep their growth in check. 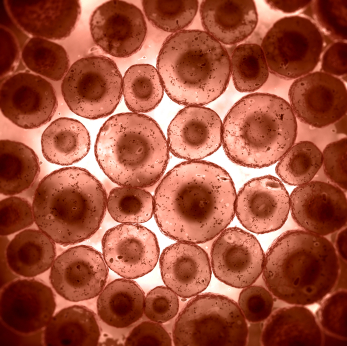 Cells that can evade apoptosis have a clear growth advantage. Because Caspase-8 is involved in programmed cell death, it would seem that reducing Caspase-8 in cancer cells would provide a growth advantage. However, this is rarely observed in human cancers. By providing a more complete understanding of the molecular mechanisms involved in cancer cell proliferation and migration, these results point to Caspase-8 as a novel therapeutic intervention point for treating multiple types of human cancers. Burnham Institute for Medical Research is dedicated to discovering the fundamental molecular causes of disease and devising the innovative therapies of tomorrow. Burnham, with operations in California and Florida, is one of the fastest-growing research institutes in the country. The Institute ranks among the top four institutions nationally for NIH grant funding and among the top 25 organizations worldwide for its research impact. For the past decade (1999-2009), Burnham ranked first worldwide in the fields of biology and biochemistry for the impact of its research publications (defined by citations per publication), according to the Institute for Scientific Information. Burnham utilizes a unique, collaborative approach to medical research and has established major research programs in cancer, neurodegeneration, diabetes, and infectious, inflammatory, and childhood diseases. The Institute is especially known for its world-class capabilities in stem cell research and drug discovery technologies. Burnham is a nonprofit public benefit corporation.